Working within an existing grand space with Victorian arched windows and original moulded ceilings, our approach was to source original pieces, not recognisable as iconic, but unexpected with strength of character. This journey involved working closely with local furniture enthusiasts and artisans. A pair of 70’s blue Italian Murano glass chandeliers became a launching point for the tone of the space. European originals are offset with walls finished in opulent hues of turquoise and cobalt. 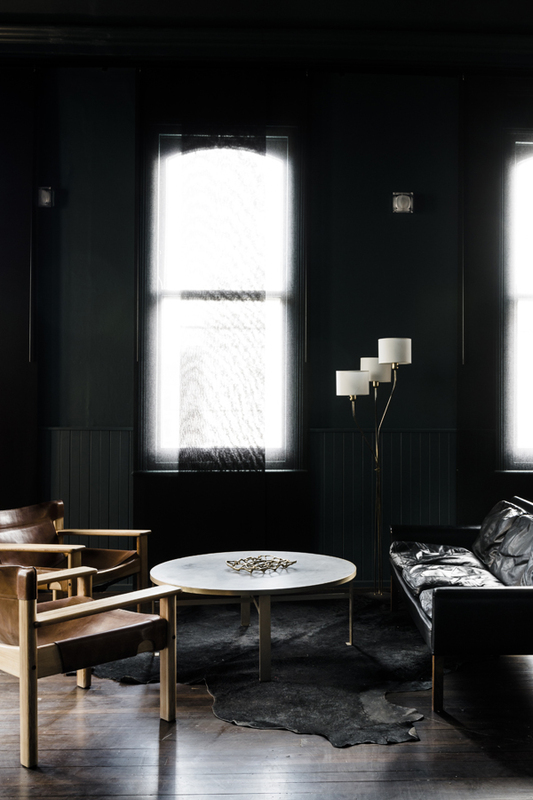 Dark floors take the weighty aesthetic of hand-carved Elizabethan revival collectables and black leather Hans Olsens. Mid-century velvet armchairs are countered with delicate French parchment floor lighting. The character and charm of this room comes with curating various quirky pieces spanning across different eras. 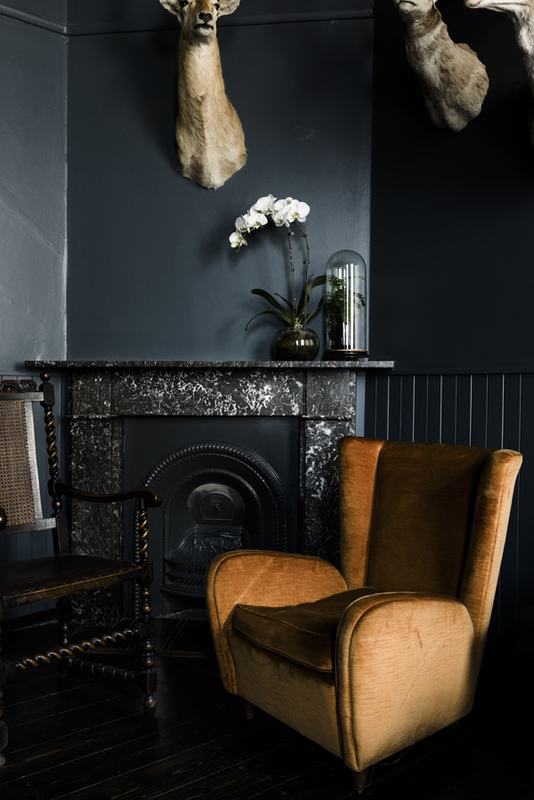 The décor is refreshingly underived, a product of careful procurement that is not afraid to combine textures, colour and tone with art, furniture and lighting, bringing them together in a bold new relationship with the heritage environs.